At times it is necessary to give presentation virtually with screen sharing. Even though Microsoft provides recording option with Power Point slides it is not useful if you have created presentations in PDF using LaTeX. Screen cast refers to sharing our computer screen with audience with or without voice narration. In case of presentations, screen cast means the sharing of presentation slides on your computer with the audience. In such cases lifesaver is YouTube. Yes, one can create screen cast with simple steps in YouTube without any additional software. Only requirement is you should have a Gmail account and comparably good Internet connection. 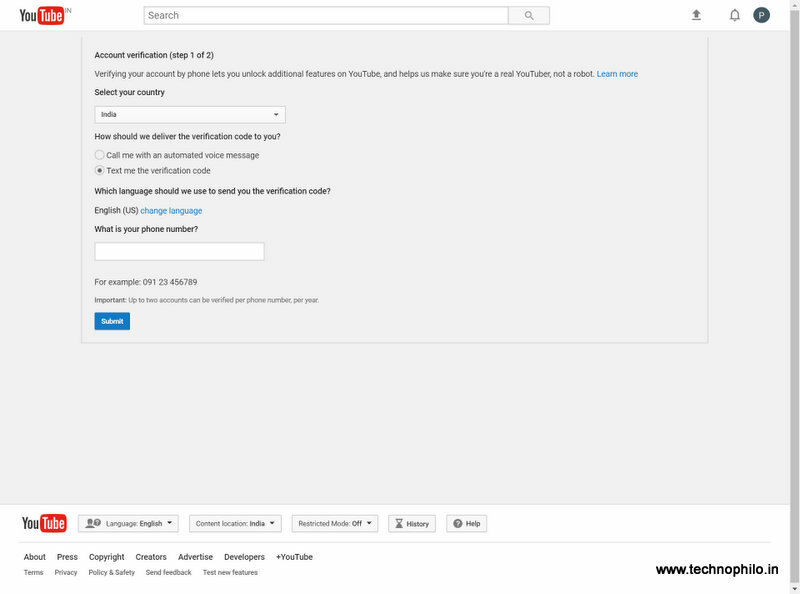 Step 1: Go to DashBoard in your YouTube login. Click on Live Streaming. Go to get started and verify your Mobile Number by providing OTP. It is a must. Step 2: Then access the page “Events” under the tab Live Streaming and select Schedule a New Event. Step 3: Here you can enter the Title you would like to have for the screen cast and a brief discussion. Importantly if you want the video to be private then select private before proceeding further and select the Type Quick (using Google Hangouts on Air). 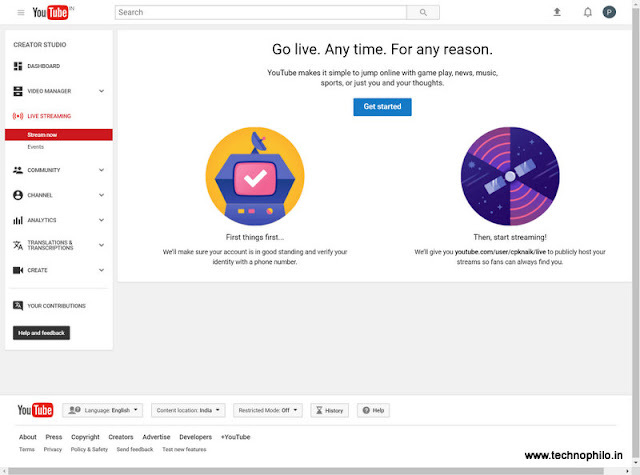 Click on Go live now that will open Google Hangouts page. Enter the event details or the video details. 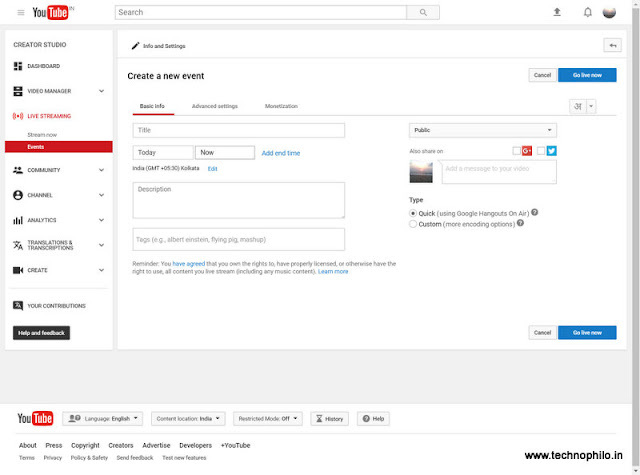 Step 4: Select the screen share option in the left tool bar, you will be asked to share your screen. 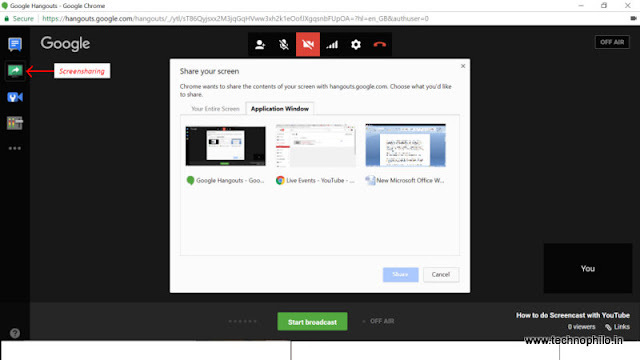 Select either Your entire screen or application window if in case you are screencasting presentations. 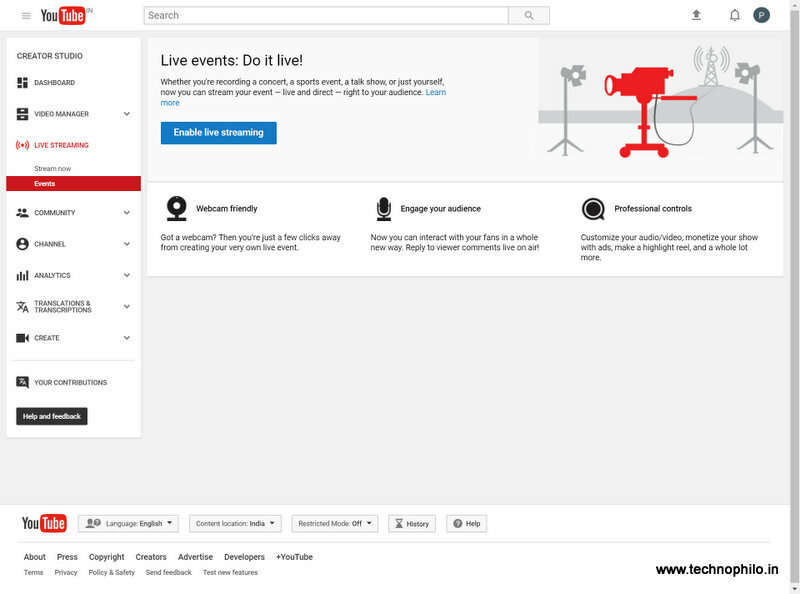 Step 5: Click on Start Broadcast and you are live. Once the screencasting is over, click on Stop Broadcast. 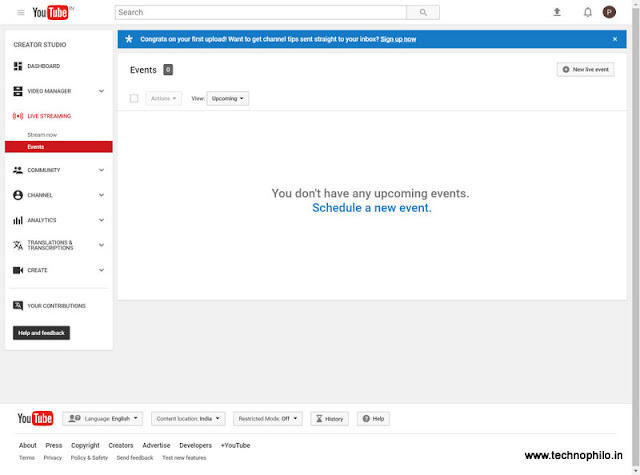 You are done and your video with screencast will be ready to play. You can view and share your screencasted videos by accessing them at YouTube dashboard after you login similar to YouTube videos. In addition, if you want you can enable webcam by which your face will appear in the corner of screencast. Similarly if you don’t want to record voice and just action, you can disable micro phone option in the Google Hangouts top tool bar. A drawback of this is you require stable internet connection to do screencast video. Central Government introduced Atal Pension Yojana (APY) in order to provide pension benefit for employees of unorganized sector. In the previous post the information on opening an Atal Pension Yojana (APY) account online in State Bank of India (SBI) was mentioned. The accounts opened in this scheme will also be maintained by the Central Record Keeping Agency under National Securities Depository Limited (NSDL). 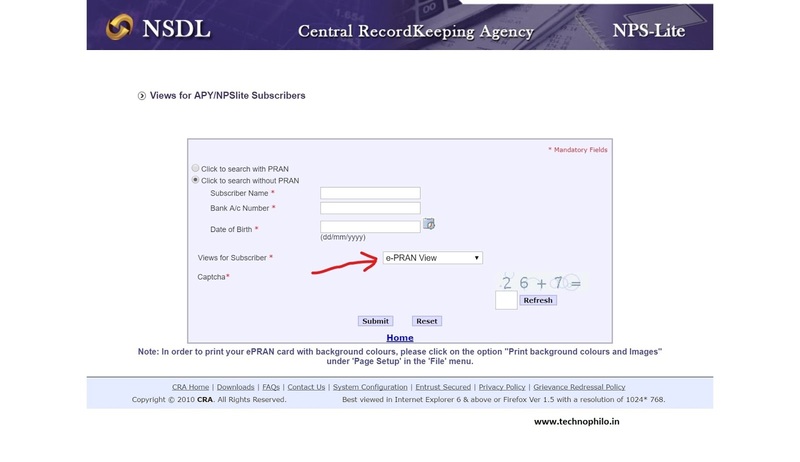 In order to facilitate the users to know the status of APY account opened, one can check online through NSDL. To check the balance and other information first the users need to obtain Permanent Retirement Account Number (PRAN) from NSDL website and take a copy of it for further communication such as upgrade or downgrade of pension amount, change of personal information etc. The PRAN e-copy will also have Full Name of the individual holding the account, Permanent Retirement Account (PRAN) Number, Date of Birth, Assured Pension (which is same as Premium Amount to be paid monthly) along with the Nominee name. Also, the pension start date will also be mentioned on the e-copy of PRAN. APY service provider will be respective bank or agency from which scheme is enrolled. 3. Select the option e-PRAN View and provide the CAPTCHA answer. Once you click Submit, your copy of e-PRAN will be available. 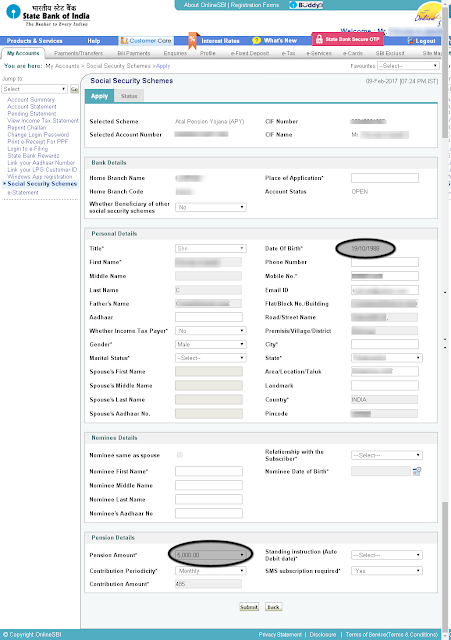 To print the e-PRAN details with background color while printing select the option Background Graphics. If you are using Google Chrome you can view this option of selecting Background Graphcis can be accessed from more settings in print dialogue box of Chrome. Alternatively you can save it as PDF also. State Bank of India (SBI), one of the top public sector banks in India providing services to customers on with the leading private sector banks has recently come up with the option of opening Atal Pension Yojana (APY)Scheme online through their internet banking account. This is one more addition to the plethora of services offered by State Bank of India online in addition to the existing services at free of cost. In this post, we learn about opening Atal Pension Yojana (APY) account online. Atal Pension Yojana Account can be opened similar to other accounts like Pradhan Mantri Jeevan Jyoti Bima Yojana (PMJJBY) and Pradhan Mantri Suraksha Bima Yojana (PMSBY). Atal Pension Yojana is the scheme introduced by Government of India for the benefit of employees of unorganized sectors who are not in regular service and won’t receive pension once they reach the age of 60. Based on the monthly premium paid by the customers, pension amount will be decided. Premium amount is decided on the factors of age of entry into the scheme and pension required per month after attaining the age of 60. Customers need to have internet banking in State Bank of India to avail this facility. Follow these steps to open account online. You will receive confirmation SMS and email registered on successful registration. PRAN number will be generated and it will serve as reference number in future. 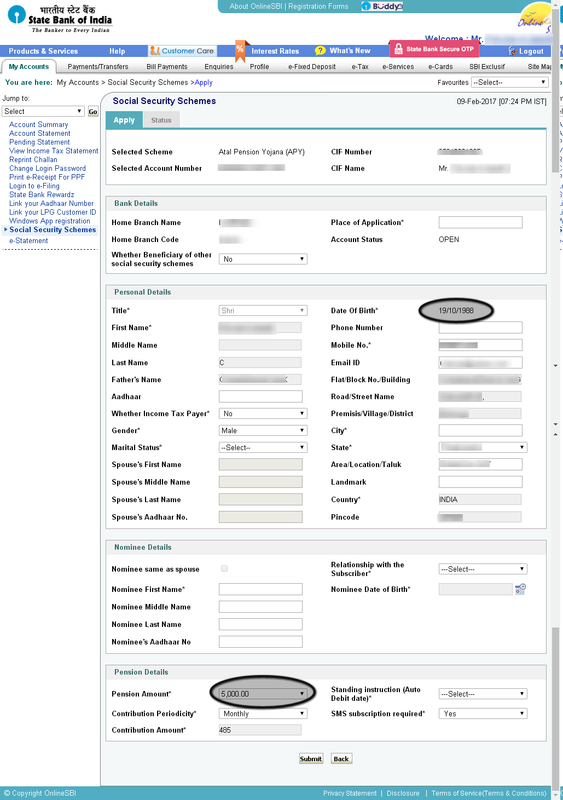 One can enter details like Nominee, Permanent Address and Email id on which one need alerts. Select the pension amount based on which the contribution amount will be automatically selected based on age and pension amount required. Opt for SMS alert to receive details about amount contributed every month. Even option for Standing instruction will be automatically created for the balance transfer from your account to APY account every month. PRAN number and further account of APY is maintained with Pension Fund Regulatory and Development Authority (PFRDA). As of now balance of APY account cannot be accessed online and can only be accessed through branch. Change of premium amount in contribution can also be made by filling up the form available online at the respective branch.